On June 4, 2015, Alberta WaterSMART released the Room for the River in the Red Deer River Basin – Advice to the Government of Alberta report and asked stakeholders and the general public for their comments, concerns, thoughts and feedback. If you follow us on social media or are subscribed to our newsletter you know that we provide recommended reading to stay abreast of news relevant to water in Alberta (you can sign up for our newletter here). However, sometimes we come across interesting videos, opinion pieces, reports and miscellaneous web content that fall outside the scope of our normal newsletter content. In order to share more of this information with our readers, we have decided to start a new monthly (or bi-monthly) roundup series on The Bog. On Thursday, June 25th water experts and enthusiasts from across the country converged in Vancouver, B.C. at the 6th annual Canadian Water Summit. The topic of this year’s conference was The Energy of Water: Exploring Nexus Opportunities which included remarks from the Honourable Mary Polak, B.C.’s Minister of Environment; Margaret Catley-Carlson, Patron at the Global Water Partnership, and; the Honourable Judith Guichon, Lieutenant Governor of B.C. amongst many others. While the day was full of information and interesting facts, there were five points that really stood out. The following are topics covered in either presentations or discussions at the conference. There are many different uses, needs, industries and disciplines involved in water which are influenced by separate values and meanings of its users. Essentially, you can have a biologist, lawyer and engineer working in the field of water for entirely different or similar reasons. As Alberta’s legislature welcomes both new and returning MLA’s, we’ve outlined 10 points that both politicians, and all Albertans, would benefit to know about water in Alberta. In the nearly two years since the 2013 floods in Alberta, many mitigation options for the province’s flood-prone areas have been identified, studied, and implemented by the Government of Alberta (GoA), municipalities, non-government organizations, and others. In the fall of 2014 the GoA announced that it wanted to look more closely at the approach taken by the Netherlands to manage flooding in the Rhine River branches – the Room for the River program. A pilot project was undertaken in the Bow River Basin in late 2014 to consider the extent the Room for the River principles could be adapted and applied to the Bow and Elbow rivers. Building on the Bow Basin pilot, a second initiative was carried out in spring 2015 in the Red Deer River Basin to apply the measures and the learnings from the Bow Pilot to reduce vulnerability of people and infrastructure and improve the overall quality of the river. 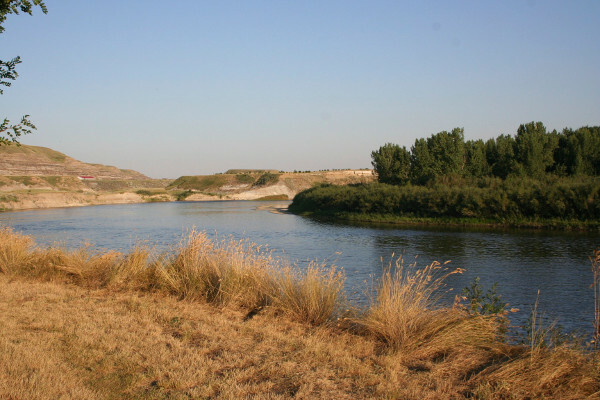 "Red deer river drumheller looking south" by davebloggs007 is licenced under CC BY 2.0. The report below was submitted to GoA on June 4th, 2015 for their review and consideration. It includes an overview of the project and the resulting advice to GoA. Many organizations and individuals contributed to this project. In this continuing spirit of collaboration, the report is being broadly shared and further comments are welcomed. Please read the report and feel free to share it with others. If you would like to offer public comment please do so in the comments box below, to offer private comment please do so via email . The WaterPortal will ensure your comments or suggestions are communicated to the authors and recipients of the report. Comments and feedback will be accepted until June 30th. Click here to download Room for the River in the Red Deer River Basin: Advice to the Government of Alberta.